Individuals who suffer from chronic medical conditions face challenges on a daily basis. Limited mobility can make it difficult and even painful to complete everyday tasks. Lift chair recliners can offer unique benefits to individuals with chronic health conditions which can improve their ability to remain mobile and highly functional. 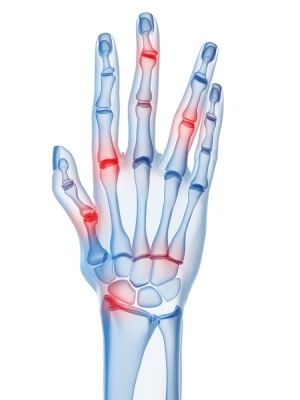 Chronic conditions such as osteoporosis or arthritis can be extremely painful. A lift chair recliner can fully recline and elevate a patient’s legs, thereby relieving the pain and discomfort created from chronic conditions. 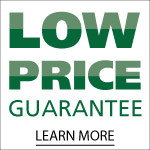 In addition, the slow rise of a medical chair lift allows the individual to get up out of the chair easily, causing less painful and requiring less effort to get up from a seated position. The simple task of getting in and out of a chair can be extremely difficult for people with stiff joints and other ailments. The lift function of a lift chair recliner enables a person to come to a complete upright position without having to struggle to get out of a chair. The user can then gradually be guided down to a sitting position. This reduces the amount of energy expended on the task of getting in and out of a chair and helps prevent injuries and unnecessary strain. Medical recliner chairs give disabled people improved mobility as well as increased energy which can be used for other important activities. Getting in and out of a chair can be extremely risky for a person with balance issues. 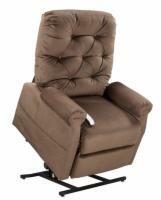 A medical lift recliner is there to support the user until the he or she is safely in an upright position. This added support stabilizes balance and reduces the risk of falling, which is especially critical for aging adults who easily sustain fractures. Lifting recliners not only offer positive medical benefits for people with chronic medical conditions, they also provide therapeutic relaxation. This can help conserve energy, reduce pain and improve overall function. If you think a lift chair would benefit you or a loved one, please contact our mobility specialists at 1 (800) 790-5104.